For more information contact us at (218) 878-8100. Office Hours: 7:45a.m. to 3:15p.m. Classroom Hours: 7:45a.m. to 2:00p.m. Early Head Start (EHS) is a federally funded, community-based program for low-income families with infants, toddlers, and pregnant women. Its mission is simple: to promote healthy prenatal outcomes for pregnant women, enhance the development of very young children, and promote healthy family functioning. 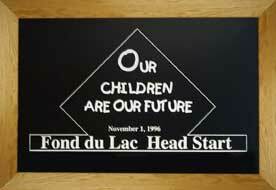 Fond du Lac Early Head Start serves pregnant women and children up to age 3. Preference given to families of Native American descent. Early Head Start offers both a center based and a home based option. The Center based option offers services to children in an age appropriate classroom where teachers work with children at a ratio of 1:4. The classroom day includes; outdoor/gym playtime, table activities, health and nutrition activities, story time and other literacy activities. Home based teachers meet once a week with family in the child's home for 1.5 hours. 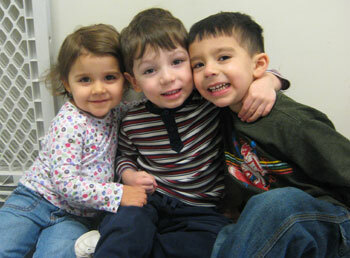 Twice a month, group socializations are held at the Head Start Center. Home based offers all the same services as center based. 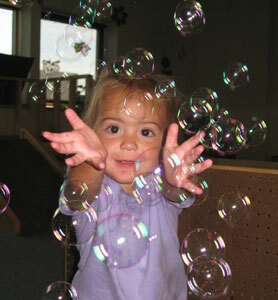 Early education services in a range of developmentally appropriate settings. Home visits, especially for families with newborns. Parent education and parent-child activities. Comprehensive health and mental health services. High quality child care services, offered on site. Child development information offered to families. Comprehensive health and mental health services, including access to programs offering smoking cessation and substance abuse treatment. Adult education, literacy, and job skills training to facilitate family self-sufficiency. Assistance in obtaining income support, safe housing, or emergency cash. Family partnerships developed with program staff. Community assessments to assist in the design of the program in order to meet the specific needs of pregnant women and families with young children. Increase family access to community supports, make the most efficient use of limited resources, and make changes to the program to meet the changing needs of families in the community. Staff members must have the capacity to develop caring, supportive relationships with both children and families. On-going training, supervision, and mentoring to emphasize relationship building. Staff development will be grounded in established "best practices" in the areas of child development, family development, and community building. Families who have a child with special needs are encouraged to apply and are given priority for enrollment. All children entering Head Start programs must complete a developmental screening. If necessary, further testing is done to determine if the child qualifies for special education services. Children receive services in the least restrictive environment. A Disabilities Service Plan is updated annually outlining disabilities services. Families of children with disabilities are invited to participate in creating this plan.